I love to travel. Regular readers of this site will find that perhaps the greatest understatement of the week, if not longer. But more than that, I love to travel as a missionary. Almost always, anyway. And I know, I know – on the one hand, I’m most definitely not a “real missionary”, because I get to do this a couple of weeks, or maybe a month each year. and I also know that in another sense, every believer is a missionary every day. But some days…well, some days it’s a little easier to feel holier than others. Let me explain. Sometimes, the work that travelers get to do is simply amazing. You finally get face to face with some partners, or you are able to dig deeply into a project, and WOW! There is no greater feeling in the world than being dead tired because you have expended your body, mind, and spirit in some great cause. One of the things that draws me into this kind of trip is that feeling of exhilaration that comes from knowing you have committed yourself and all the best that is in you to some great cause, idea, or friendship and coming back to the guest house in the evening realizing that such an expenditure has paid off in some way. It doesn’t matter if the travel is to Malawi or Texas or to the North Side of Pittsburgh – there is something wonderful about leaving the normal pace of life and concentrating fully on a different work. It is one way in which I become more fully engaged in the whole of my life – that which I have temporarily left, and that which I am temporarily embraced. Going “all in” brings a certain freedom. But it doesn’t always work out that way. Sometimes, mission travel is, well, boring. I shouldn’t be surprised by this, of course. One of the great mission travelers in history pointed this out in a passage that those of us in the 21st century would do well to remember. When the apostle Paul writes to his friends in Galatia about the early days of his work, he throws out a phrase that just about sneaks by. “Fourteen years later…” (Galatians 2:1) Seriously? FOURTEEN YEARS LATER? Yes, that’s what the man said. Lots of times, you are sitting in meetings, dreaming dreams and casting vision with your mission partners, or you are in the field getting your hands dirty or teaching or worshiping. But lots of time, to be honest, you are sitting. And waiting. And sitting some more. Just as Paul spent 14 years waiting in Tarsus before God equipped him to take the next step. When you book a cruise or plan your trip to, say, the great capitals of Europe, you do so knowing that you have a certain amount of time and there are certain things that you’ll need to do. Itineraries are planned weeks, months, or years in advance. And while it takes a little fiddling around to get the pieces to fit perfectly, you can do that, because you know when the Eiffel Tower wills be open, what time the show starts at the theater, and how long you’ll be able to stay at the Coliseum. You pay a guide service or invest your own energies into making sure that not a moment of time is wasted. But when we travel in mission, we are often exploring an itinerary, or waiting to see what develops. Rather than employing a guide, you are engaging a partner – one who may face a variety of challenges and other commitments. 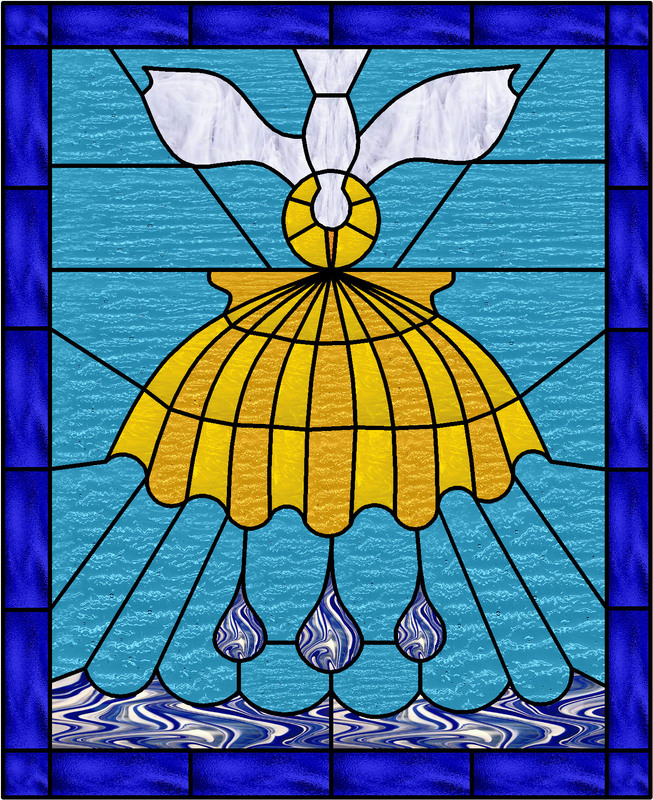 More than that, you are seeking to be open to the movement of the Spirit in an ever-shifting landscape. Our intrepid crew on the banks of the Nile. And so it was that Monday, January 28 found six deeply committed spirits doing, well, nothing for ten hours. We had had wonderful discussions about partnership and engaged deeply in worship and been immersed in the rhythm of life in South Sudan. But n Monday, our partners had a lot to do with their General Assembly. And it became apparent that they could do it better if they were not saddled with the additional burden of translating every aspect of the experience into English, or making sure that we were properly hydrated or knew where the toilets were. Sunday night, it had been the absolute right thing for us to be at the General Assembly. How I wish that I could have captured the enthusiasm and appreciation with which we were received. Our coming to stand with these partners who were trying to live into a new identity in a new place was received exactly as we had intended. In particular, seeing the way that the commissioners greeted the Rev. Mercy Chilupula was a gift! 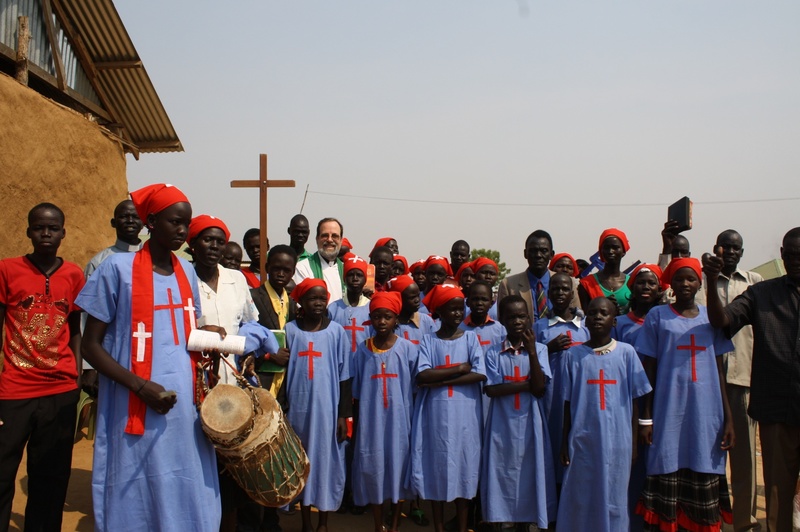 The South Sudan Presbyterian Evangelical Church does not ordain women, but they were blessed by the presence of a strong and faithful woman leader that night. But the next morning, things were different. So we said, “Please, just let us rest somewhere for a few hours where we will not distract you.” Our hosts took us to a small inn along the western bank of the Nile River, where we expected to spend a few hours admiring the mighty river, using the Internet, and simply relaxing. That was the plan. However, the wireless service was barely functional, the riverine view lost its appeal after five hours or so, and the heat was intense. I wish I could say that one of these six brilliant minds came up with a way to redeem that time – that we held an unanticipated council wherein we solved one or more of the world’s great problems. Yes, it would be nice to say that. Only it would be a lie. 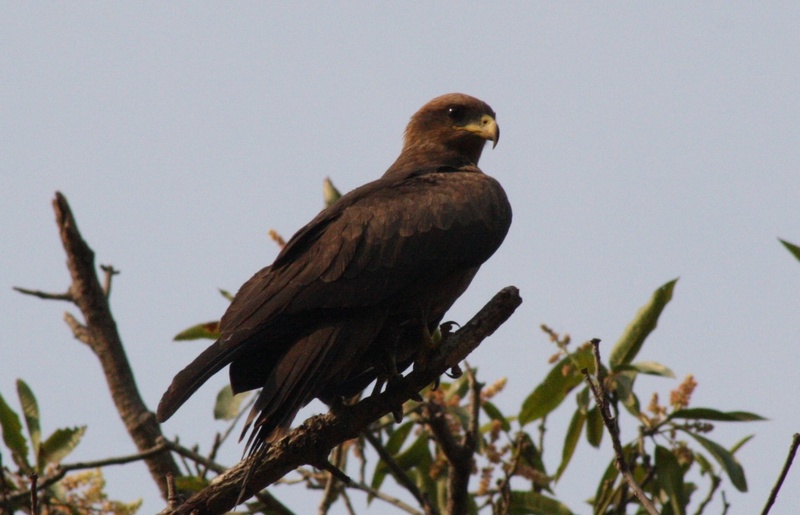 We did see some beautiful birds, and revel in the historic river. For a time. We read, we chatted, and we exchanged faith stories. Some. But we also dozed, sighed, griped, and fretted – we hadn’t come to do this. But whatever fruit comes from this trip, I think, will have been made possible, perhaps, because we chose to wait on this day. On Sunday evening, Mike Uko said that the CCAP Blantyre Synod and Pittsburgh Presbytery had been together for 21 years, and maybe it was time for that partnership to give birth to something new. Mike’s imagery was very helpful to me as I recalled long hours in hospital waiting rooms – time that I have spent, in some ways, enormously “inefficiently”. It just doesn’t make good sense to sit somewhere simply waiting, when there is often so much to DO. But some days, waiting is all you can do. The truth is, our Sudanese partners did have a great deal of DOING to do, and they didn’t need us at that moment any more than the OB/GYN needed me the day that my daughter was born. Yet on Tuesday morning, when Jeff Tindall prayed with the Sudanese assembly, and we shared our joy at what they had been able to do, the waiting of Monday was Paul into perspective. Years ago, Desmond Tutu wrote, “the privilege is ours to share in the loving”. Sometimes that sharing looks a lot like hammering or sweating or praying or doing. And sometimes that sharing looks a lot like waiting. The Apostle knew that. The church has always known that. And I am learning that. Again. Ironic post-script dept: two hours after completing this little missive, the vehicle in which we were to take the four hour drive from Lilongwe to Blantyre broke down, so the aforementioned humble and patient missionaries had the chance to live into its truth whilst waiting in the rain for plans B, C, or D to develop. It was tough to gripe after having just written this. I get it, Lord. This Psalm of lament came to me while in the midst of a very intense, very joy-filled worship service in a small community outside of Juba, South Sudan on Saturday. Know this, my friends, about Juba: it is growing by leaps and bounds every day. In 2005 it was a tiny town, the regional capital of the southern district of Central Equatoria. When the terms of peace were won in the Sudanese civil war, and it appeared as though there would be a new nation of South Sudan, then the construction began in earnest. Hotels, an airport, an infrastructure, and public services are all needed for a place that is growing quickly. Much of the growth is fueled by those who have roots in the southern part of the country but who had chosen or been forced to return to the South by the government of Sudan in Khartoum. One of the results of this as amazing growth is the fact that one cannot buy much – the supply is far outstripped by the demand. Hence, the prices are high and the goods are spotty. And as difficult as that is, some of the growth is fueled by even more difficult circumstances. 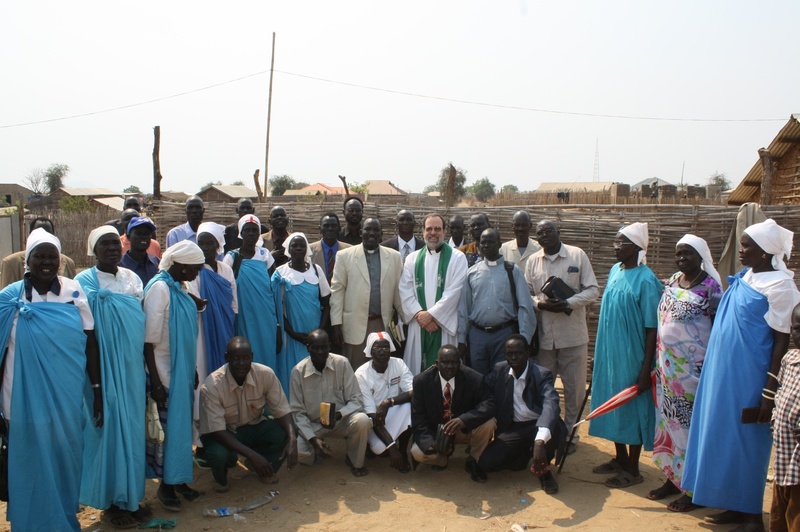 We went on Saturday to participate in the ordination of five elders and two deacons in a community about an hour outside of Juba. As we arrived, I noticed that the style of homes was quite different that that which we had seen previously. The people were dressed slightly differently as well. As we entered into worship I was informed that this was the meeting place of the Gorom congregation of the South Sudan Presbyterian Evangelical Church. This church is composed almost entirely of members of the Anuak people who are refugees from Ethiopia. They arrived in Southern Sudan in about 2003, and were resettled in this refugee camp about two years ago. Let that sink in for a moment, beloved. Imagine things being so difficult, so frightening, so dangerous in your own home that fleeing to a neighboring country that is in the midst of a civil war of its own seems like a good idea! Yet that is what the Anuak have done. 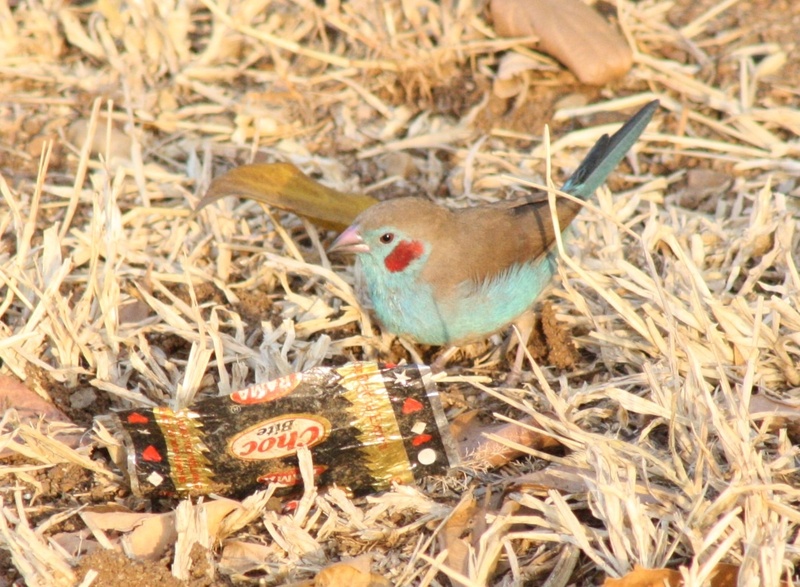 And they have made a home for themselves, somewhat, here in the harsh climate of the bush in Southern Sudan. The worship was long. And it was conducted in 4 languages: English, Arabic, Anuak, and Nuer (a local language of the South Sudanese). And it was hot. Not Pittsburgh hot, or even Arizona hot. The temperature had to be 110 degrees and the humidity made it feel like 125. And still the service went on. Laughing. Singing. Ululating women and clapping men. Giggling children who played and dozed and cried and sang. Why? In one respect, it was unbearable. But in another, deeper, more important respect, it may have been the only bearable thing. When I saw those people singing praises to The Lord in their own tongue and with their own songs, I saw them in a place that was NOT a mud building baking under a tin roof in the forgotten desert of one of the world’s port countries. No. I saw them at home. Do you see? 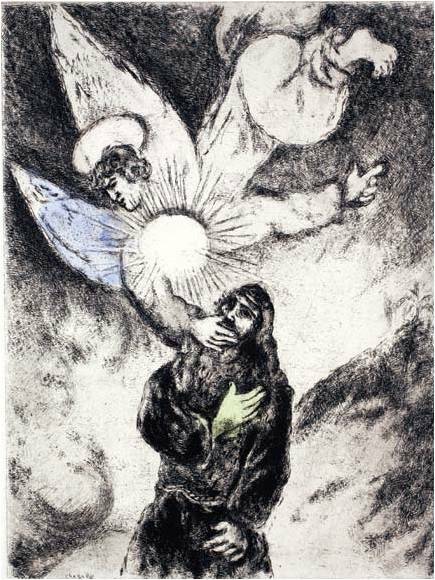 In their worship of God, they were able to re-member themselves. To put their members back in order. To recall, to re-establish, to enter once more into their identity as children of God. While we were there, we were not refugees or tourists or citizens or aliens. No, we were the family of God, coming home. We sang and ordained and prayed and preached so that we could finally remember who – and whose – we are. Do you want to know how we ended this brutishly hot, amazingly wonderful day among the refugees who had welcomed us home? We sang a song in the Anuak language: “We give you thanks, O God, because you have blessed us.” And then we left the sanctuary, whereupon we formed a line in which each person greeted every other person in worship (yes, that took some time). Then our hosts invited us back into the building because they had “a little bread and water” to share. Jeff shows us how to enjoy an amazing Ethiopian meal. And there, after singing the songs of home and remembering the reasons that we are who we are, these lovely people ate the food from home. Each of us was given a plate piled high with steaming njerwa flatbread, beef stewed in bere-bere sauce, lentils ground into a porridge, and sweet cabbage – Ethiopian delicacies that were prepared with love in South Sudan. Oh, my friends, I know we are taught that when we die, we want to avoid the place that is hot. But I am here to tell you that I learned a lot about home, about heaven, about belonging, about re-membering the Body of Christ in a blistering building amid searing heat and oppressive humidity surrounded by people who were not wanted in their own country. And I would go back tomorrow if they asked me. What an amazingly refreshing day of work. It’s hard to remember a day when I worked so hard, and felt so tired, and felt so good! The teams of 3 Malawians, 3 Pittsburghers, and 3-6 South Sudanese made substantial progress in terms of talking about what it would mean for us to function more collegially in the years to come. Our group started the day in worship, where we noted the interaction between Paul and Titus and the importance of relationship in ministry – even when there was fruit to be had, Paul could not take it because he missed Titus so much. Titus grew from a “project” to a student to a colleague to a coworker to a friend to one with his own call and commission. God used the partnership and relationship between these men to accomplish great ends in the first century. With Mercy Chilipula (CCAP) and Tut Kony (SSPEC), I can clasp hands in partnership. A highlight of the morning included listening to the stories of each church. The South Sudanese told of how they have basically been driven from their homes in the north and forced to begin new lives in the South. People were left without employment or housing; most of our South Sudanese friends told of their wives and children who lived in another country because it was both safer and cheaper for them to do so. We then considered issues such as the gifts with which each tradition has been blessed, the challenges and opportunities faced by current cultural contexts and the ways in which collaboration might help each church. Finally, we drafted a proposal to circulate amongst our respective traditions in the hopes that real and lasting fruit might develop from this time together. Make no mistake, there are long and serious questions to be considered in the months to come, but there was definitely a sense I which the upper room at the Aron Hotel in Juba was filled with the Holy Spirit today. The worship and prayer with which we ended was a refreshing conclusion to an exhausting day. Our partnership teams celebrate the end of a long day – and the beginning of a long road. 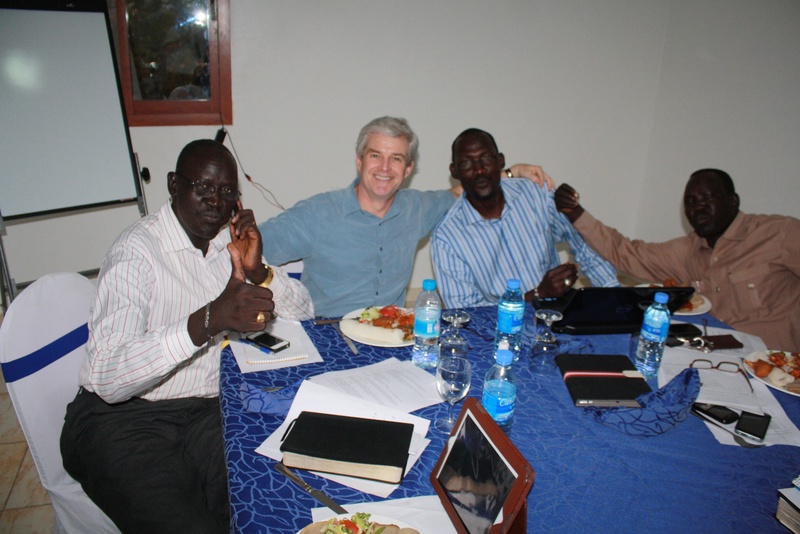 The wonderful news is that both teams of traveling missionaries have arrived in South Sudan. Our colleagues from Malawi had a bit of a scare when the visa process was not quite what we expected, but as it turned out the Minister of Transportation for the South Sudanese government happened to be at the airport when the problem was discovered, so he gave a rather stern lecture about being prepared and then issued emergency paperwork. Praise The Lord for that! The Malawian team consist of Revs Shadrach Njala and Mercy Chilupula, and elder Mike Uko. We were greeted upon our arrival by the Rev. 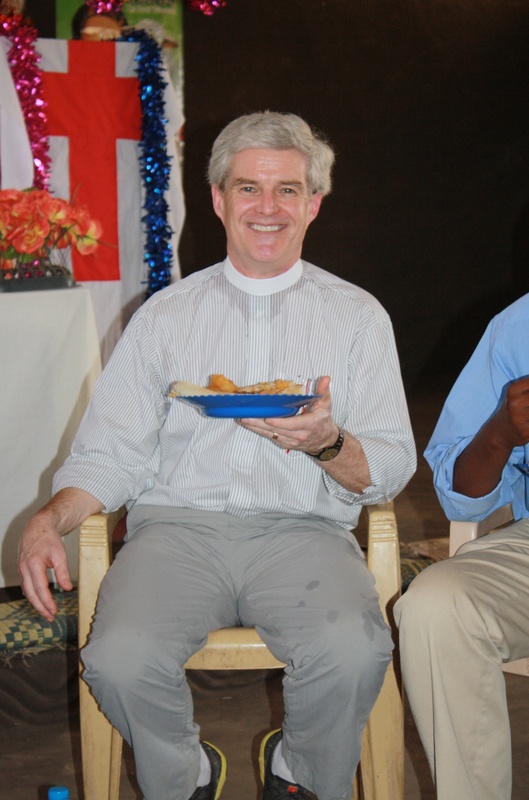 Michael Weller, a PCUSA mission co-worker who has lived and worked in the Horn of Africa for nearly 20 years. his wife, Rachel, is from a family that has been in Africa for 100 years! Joining Michael were the Revs. 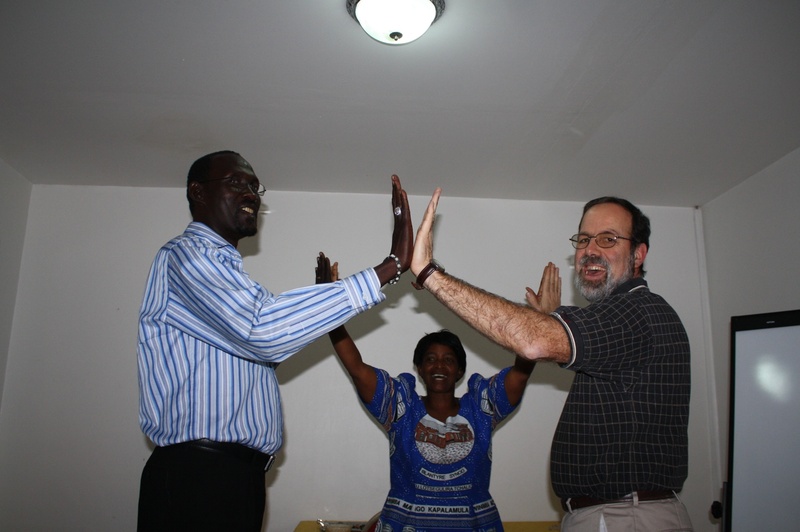 Tut Kony (Moderator of the southern Sudan Presbyterian Evangelical Church) and Thomas Tut Pout (Deputy General Secretary). Our accommodations are sufficient – an episcopal guest house that is not unlike the Grace Bandawe center in Blantyre (no cute little gazebos, though). At 5 pm this evening the 3 from Pittsburgh, 3 from Blantyre, and 4 from South Sudan will join with Weller and begin some guided conversations about partnering in ministry. These will focus on listening at first. We will continue to meet through tomorrow and into Saturday. Thank you for the prayers thus far and for those yet to be offered. On January 22, I will be leaving Pittsburgh for nearly three weeks in Africa so that I might take part in an historic mission trip to the Republic of South Sudan and the Republic of Malawi. 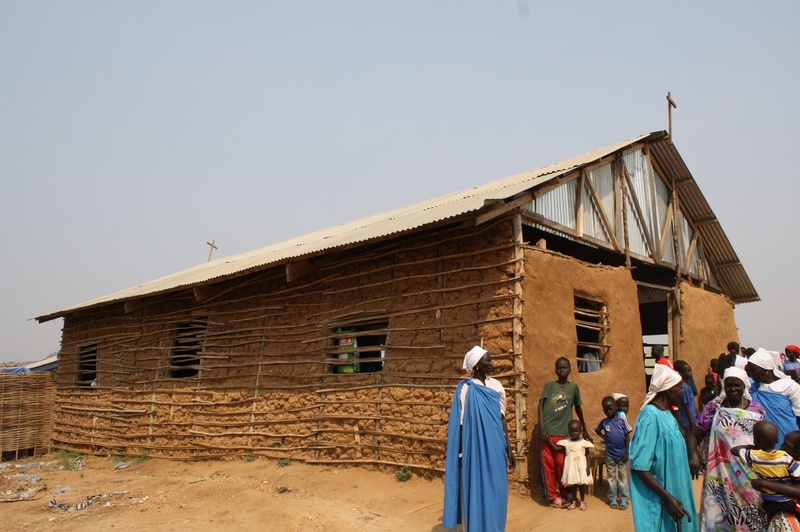 The overall purpose of this journey will be to explore the possibility of formal partnership between Pittsburgh Presbytery (Presbyterian Church USA), Blantyre Synod (Church of Central Africa: Presbyterian), and the South Sudan Presbyterian Evangelical Church. In addition, I will visit Malawi to witness and encourage the implementation of the “A-MAIZE-ing Grace” Famine Relief program launched by Pittsburgh Presbytery and the Synod of Blantyre several months ago. I have had the privilege to travel to many places in the world for a variety of reasons. As I prepare to leave on this journey, my sense of CALL is stronger than it has ever been. That is a little unusual, because my sense of WHAT I WILL ACTUALLY BE DOING is a little fuzzy. I believe that I am supposed to go, and that I am supposed to concentrate on BEING more than on DOING in the next few weeks. For those reasons and more, I ask my friends to join me in prayer. Here is a little more about the journey. The Republic of South Sudan was created on July 9, 2011, when more than 98% of the population voted to leave their northern neighbor, Sudan. This nation is about the size of the US State of Texas and has 36 miles of paved roads. The population consists of approximately 8 million who earn their living primarily as rural subsistence farmers. Life has been hard in this nation, which has only known peace for about ten of the last fifty-five years. The result of this conflicted history has been serious neglect, lack of infrastructure development, and major destruction and displacement. More than 2 million people have died, and more than 4 million are internally displaced persons or became refugees as a result of the civil war and war-related impacts. Despite more than 50 years of civil war and an infrastructure that is in ruins, a sense of hope now pervades the people of South Sudan. The Republic of South Sudan began nationhood as one of the world’s poorest countries, but it has a landscape with rich natural resources and churches with abundant faith. The PC(USA) is working with its partner churches and organizations to help craft a brighter tomorrow for the people in South Sudan. 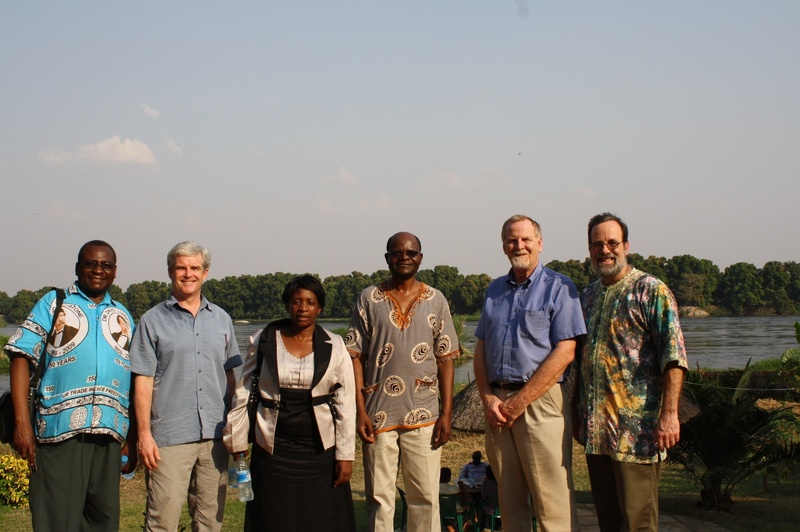 During this visit, I will join Pastors Ken White (Southminster Presbyterian Church) and Jeff Tindall (Carnegie Presbyterian Church / Stated Clerk of Pittsburgh Presbytery) will join PC(USA) Mission Co-Worker Michael Weller as we observe the General Assembly of the Southern Sudan Presbyterian Evangelical Church in the company of our Malawian partners. Our hope is that this time of face-to-face conversation, worship, and prayer will lead to fruitful discernment as to the possibilities of a formal partnership between two or more of these bodies. For more information about the Republic of South Sudan, check out the CIA Factbook entry. Malawi, a relatively small English-speaking country, is poor and has suffered from drought and floods as well as the spread of HIV/AIDS. 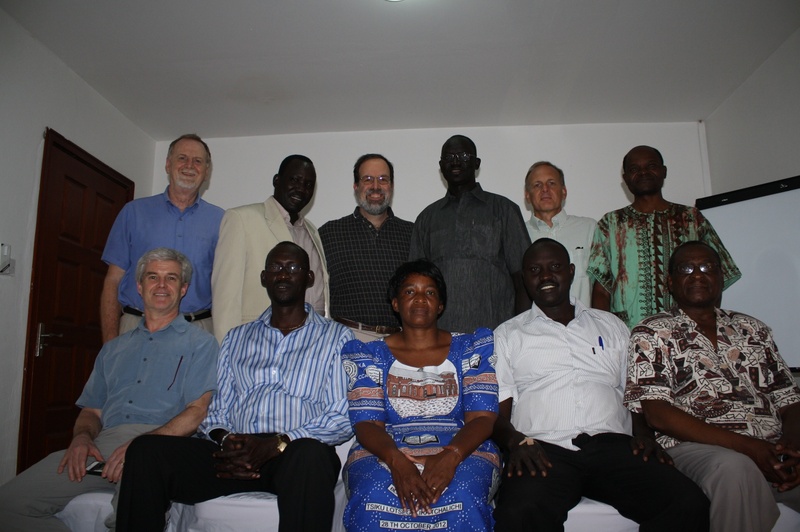 Pittsburgh Presbytery, in Partnership with the Synod of Blantyre since 1991, has joined the PC(USA) in supporting the Church of Central Africa: Presbyterian’s ministries. We have had a share in such things as include health and development programs focusing on women and children, activities for youth, care for orphans, leadership development, and water and sanitation. Members of the CCAP were influential in standing up for oppressed minorities in 1994 and bringing about a multiparty democracy. On January 29, Jeff and I will fly south to Malawi, where they will be welcomed by our long-time partners in the CCAP Blantyre Synod. Here, we will spend a little more than a week engaged in a number of activities relating to the A-Maize-ing Grace Famine Relief Program. We will visit the Mwanza district, which is the epicenter of the church’s food distribution program. In addition, Jeff and I hope to take part in a ceremony at the Zomba Theological College, which has received an outpouring of support from the students and staff at the Pittsburgh Theological Seminary. 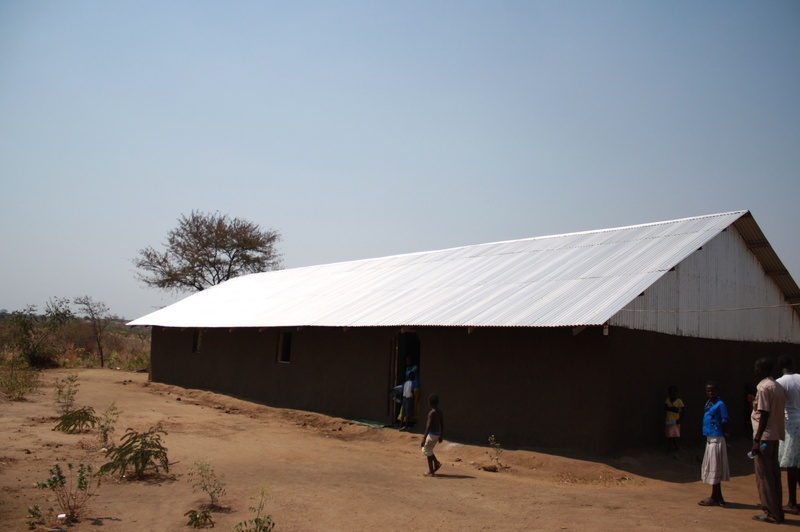 While in Malawi, Dave also hopes to reconnect with friends in our partner church, the Mbenjere congregation in the town of Ntaja. Our congregations have been twinned in ministry since 1995. The A-Maize-ing Grace Famine Relief effort was launched when we learned that there were more than 2.1 million Malawians at risk for food insecurity in this year’s “hungry season”. So far, this program has yielded more than $80,000 that will purchase food to supplement the diets of thousands of families in Malawi. For more information on this program, click here. For some of my own personal reflections on the origins, please refer to my earlier post on that subject. 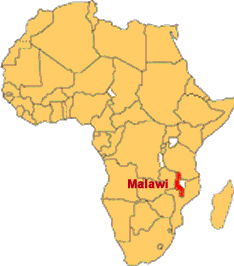 If for some reason, you’re my friend and don’t know much about Malawi, you can view the CIA Factbook here. Safe travel to and from these countries. In addition to our intended destinations, we’ll be flying in and out of Addis Ababa, Ethiopia; Nairobi, Kenya; Lubumshasi, Democratic Republic of Congo; and Rome, Italy. In addition to the complicated network of air travel, the team will be driving hundreds of miles across a variety of roads in the USA, South Sudan, and Malawi. The ability to be fully present to the people to whom we are being sent. This request would include prayers for the ability to be physically attentive, spiritually discerning, encouraging, and gracious in conversation. The ability to represent Pittsburgh Presbytery and our home congregations well. The ability to communicate as needed with those who are at home. Growth in our own lives as we learn from these African brothers and sisters whose walk is different from our own. The opportunity to model sound and wise partnership in ministry and mission to any who are observant. On Friday, March 1, 2013, you are invited to come to a formal report presentation, including photos and stories, at the First U.P. Church of Crafton Heights. The program will begin at 7 pm. This will be in conjunction with our Youth Group’s spring FAMINE RELIEF FUNDRAISER. If you show up, we will hit you up for money to support this effort. You won’t have to give, but you’ll be asked. Save your pennies!